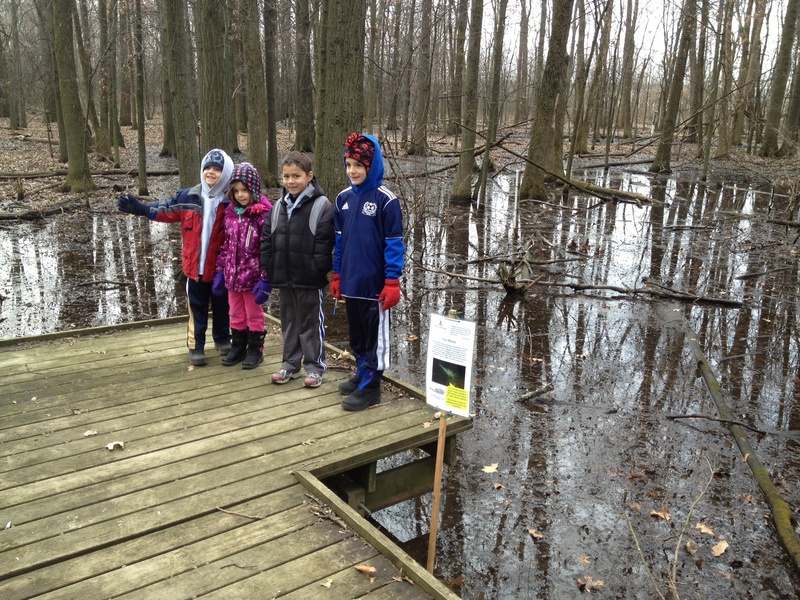 Kids exploring the Vernal Pools at the Sawmill Wetlands on April 6. We had a great turnout at the Sawmill Wetlands on April 6. 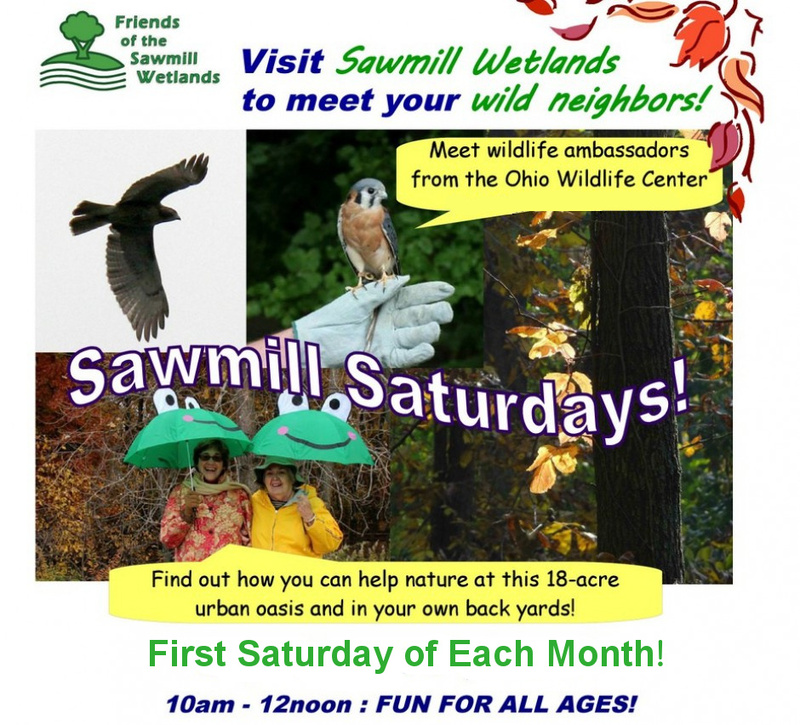 Thank you to everyone who came out to support and explore the sights and sounds of the Sawmill Wetlands. There has been significant growth in the size of the vernal pools in the last month. 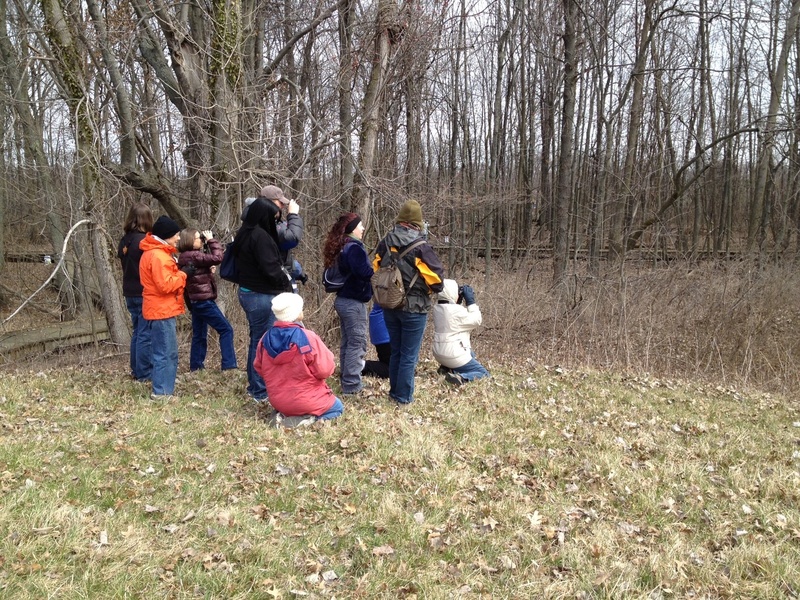 We had a great group of birders come out to the Sawmill Wetlands on April 6. A group from the Audobon Society stopped by for some bird watching. They saw many different species including, a Red-tailed Hawk, Red-breasted nuthatches, Kinglets, downy woodpeckers, and Blue Jays.